ovdje možete iznjeti sve o irankim oružanim snagama,mišljenja ,dojmove,nova saznanja,slike,linkove,uglavno sve što može doprinjeti boljem upoznavanju vojske koja po zapadnim sigurnosnim agencijama spada izmedju 8-12 mjesta po vojnoj sili. Što napisa naslov topika na engleskom, pa nijesmo englezi? jeste,ja mislim da su oborili sve rekorde po kolićini raznovrsnog naoružanja,ali treba im priznati da pod sankcijama uspjevaju sve održavati,nedavno sam gledao dokumentarac o tome kako za 45 dana remontuju f-14,u toku dana ću staviti link. To im sigurno nije službeni naziv jer engleski jezik nije službeni a kamoli maternji jezik u Iranu! ali to je nebitno svi uglavno razumiju o čemu se radi. Ali ti ne razumeš da kršiš Pravilnik forum, pa bih te zamolio da isti pročitaš i uskladiš naziv teme! 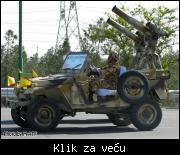 The Armed Forces of the Islamic Republic of Iran (Persian: نيروهای مسلح جمهوری اسلامی ايران) include the IRIA (Persian: ارتش جمهوری اسلامی ایران) and the IRGC (Persian: سپاه پاسداران انقلاب اسلامی) and the Police Force (Persian: نيروی انتظامی جمهوری اسلامی ایران). These forces total about 545,000 active personnel (not including the Police Force and the Army of the Guardians of the Islamic Revolution). All branches of armed forces fall under the command of General Headquarters of Armed Forces (ستاد کل نیروهای مسلح). The Ministry of Defense and Armed Forces Logistics is responsible for planning logistics and funding of the armed forces and is not involved with in-the-field military operational command. The Iranian Military consists of the Islamic Republic of Iran Army, Islamic Republic of Iran Navy, Islamic Republic of Iran Air Force, and the Iranian Air Defense Force. The regular armed forces have an estimated 545,000 personnel: the Islamic Republic of Iran Army, 465,000 personnel; the Islamic Republic of Iran Navy, 28,000 personnel, and the Islamic Republic of Iran Air Force, 52,000 airmen. Iranian Air Defense Force is a branch split off from the IRIAF. 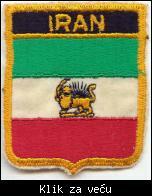 The Basij is a paramilitary volunteer force controlled by the Islamic Revolutionary Guards. Its membership is a matter of controversy. Iranian sources claim a membership of 12.6 million, including women, of which perhaps 3 million are combat capable. There are a claimed 2,500 battalions of which some are full-time personnel. Globalsecurity.org quotes a 2005 study by the Center for Strategic and International Studies estimating 90,000 active-duty full-time uniformed members, 300,000 reservists, and a total of 11 million men that can be mobilized if need be. Iran's military was called the Middle East's most powerful by General John Abizaid chief of United States Central Command (U.S. forces' commander in the region). However General Abizaid said he did not include the Israel Defense Forces as they did not fall into his area of operations . Aj svega ti jos samo stavi po neko veliko slovo u naslovu i sve OK! Postoji English Language Discussion potforum ako misliš da postavljaš poruke samo na engleskom jeziku. I nemoj da kopiraš cele tekstove sa wikipedie, a ni link nisi naveo.